I have forgotten where I first heard Galley Beggar but I have a feeling it was Federal Radio. I do know that I bought their 2010 album “Reformation House” which I am listening to now as I write this. Both albums can be bought via the band’s own website. Unfortunately I am far too skint to buy any new music at the moment, so I will have to wait to enjoy the follow up. Meanwhile I am getting plenty of mileage out of the current one, and it is about time I played something on my radio show. Here is a sample for you. But be warned, it builds up to a pretty lively jig, and those predisposed to dancing may have to get up and move about by the end. The band’s own blurb mentions comparisons to Fairport Convention, Pentangle, and acoustic Led Zeppelin, all of which I can whole-heartedly agree with. As well I would suggest a hint of Jethro Tull and perhaps most emphatically a link to a band which neither you, dear reader, nor the members of Galley Beggar, are likely to have heard of; Salvage Company. The loss, I assure you, is yours and music lovers in general. They were a band which my sister helped promote some years ago. 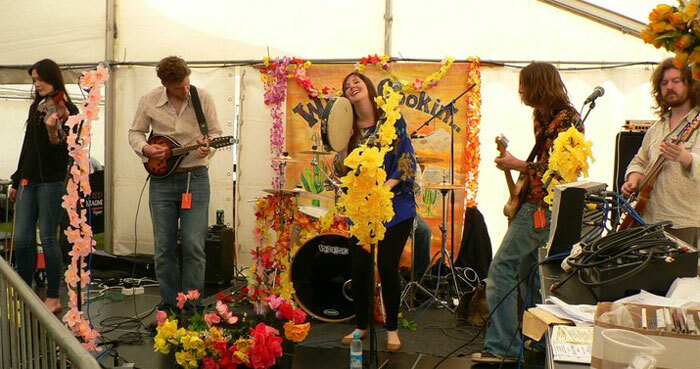 They had strong songs an immensely talented brother and sister duo at the front, and like so many bands they came and went causing barely a ripple in an uncaring world. (A vinyl e.p. is listed on Discogs; so at least their passing is marked). The aim of this blog is to act as one tiny step in a collective effort to prevent that happening again. A thankless and hopeless task but one that I at least gain pleasure from attempting. Galley Beggar on stage. Folk; but with not a woolly sweater in sight. 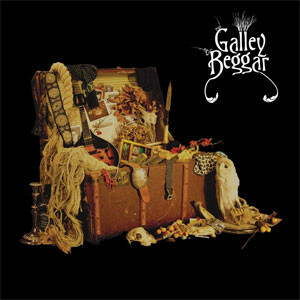 Galley Beggar blend subtle harmonies, with intricate playing, and toe tapping rhythms, to create something which is at once both folk, and pop, and rock. It is certainly devoid of Arran sweaters, either metaphorically or in actuality. I mentioned Jethro Tull, and I am of course thinking of “Songs From The Wood” more than anything else (my favourite Tull album and one of my all time favourite discs). Alright they are not as heavy, but there is certainly that timeless quality, somehow evoking misty woodlands, fair maidens, and outlandish knights, while at the same time modern in overall sound, and being quite capable of stirring a gig audience into impromptu reels and jigs; and I know this because “Outlandish Knight” is one of the tracks I regularly played to audiences when my band took a break and it gets them every time. “False Love” is surely the one that jumps down your throat and screams Jimmy Page! It has some similarity to “White Summer Black Mountainside” or indeed it may owe as much to the original “Black Waterside“. It certainly has a familiar sound to it that leaves me wondering where I heard it before. But it is lovely nonetheless. 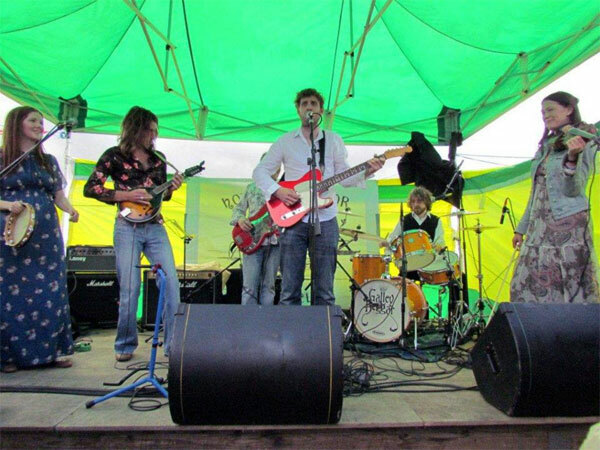 Check out Galley Beggar on Soundcloud or via their Myspace page or of course on their own official website linked earlier. Thank you for the great review, it really is most appreciated. If you would like a copy of our self titled second album to review just let me know an address to post it to and I will put a copy in the post for you for free. Thank you David, that is a very kind offer. You should have my address now since I just went over to your Big Cartel section on your website and purchased a copy of the album at the very reasonable price of £12 inc P&P. Money is not as tight, now, as it was when I wrote this. 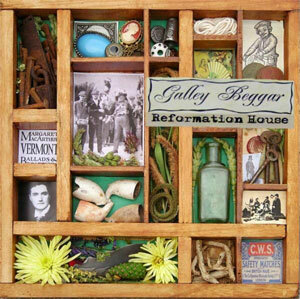 I am planning to play a track from Reformation House on my radio show today. Will try and Tweet you etc as you prob won’t see this reply in time.